This week, we look at why Google has brought emoji back to the SERP after initially banishing them in 2015, and whether marketers should be taking advantage. And in advertising news, YouTube has announced the impending demise of its least popular ad format, Google is officially rolling out a new look for its ad labels, and Bing has introduced a product listing carousel to its US search results. 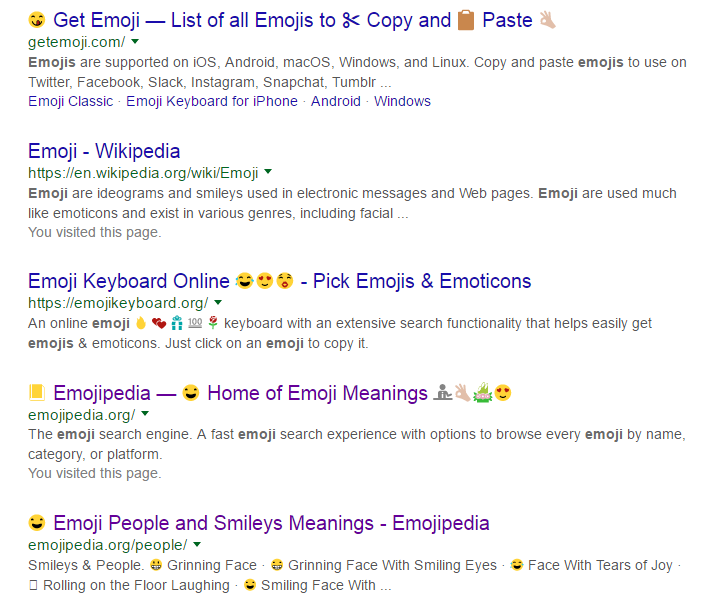 Google has officially revealed that emoji will once again appear in search results, reversing a decision taken in 2015 to remove them from the SERP. Video lovers everywhere rejoice! 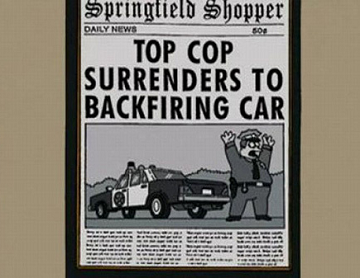 …Sort of. Google has announced that it will finally be doing away with that most unpopular of ad formats, the 30-second unskippable pre-roll ad – but not until 2018. Un-skippable 30 second ads on YouTube is the worst part about living in the future. But this decision by Google may not be entirely altruistic. Over on our sister site ClickZ, Al Roberts looked at the possible motivations for this move, as well as what Google might push in place of the 30-second ad format. Google is no stranger to experimenting with the look of its search results, and those of us who keep a weather eye on the search industry have got used to changes randomly appearing and disappearing as Google tests out new ideas. Some of these never officially get rolled out, but Google has now confirmed that a recently-spotted change to the look of its ‘Ad’ labels is being implemented worldwide. 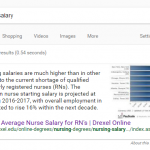 In the past, numerous studies have confirmed that the majority of users are still unable to distinguish paid ads from organic search results, so this change could be part of Google’s ongoing efforts to make the difference clearer. It will be interesting to see whether it succeeds. In spite of a slowly-increasing share of the search market, Bing is no Google. Google is the search engine most of us imagine when we think of searching, and it’s made its way into our language as a verb, “to Google”. The same was true of the vacuum cleaner company Hoover in the early and mid-20th century, to the point where its name became synonymous with vacuum cleaners and vacuuming in the UK, Ireland and Australia. However, Hoover is no longer the dominant brand of vacuum cleaner and has lost significant ground to competitors such as British company Dyson. At an event run by ClickZ and Marin Software on Wednesday, the ClickZ Digital Advertising Breakfast, Microsoft Product Marketing Manager James Murray explained how Bing aspires to be the “Dyson of search”, and dominate the market by being innovative and new. He also laid out some upcoming improvements to the Bing ad offering, including a “get a ride” button that would allow users to get transport directly to a location or business they just searched for; and talked about the company’s plans for voice search with Cortana. And speaking of improvements to Bing Ads, Bing has recently introduced a carousel for its product ads in US search results, as reported by the SEM Post on Tuesday. 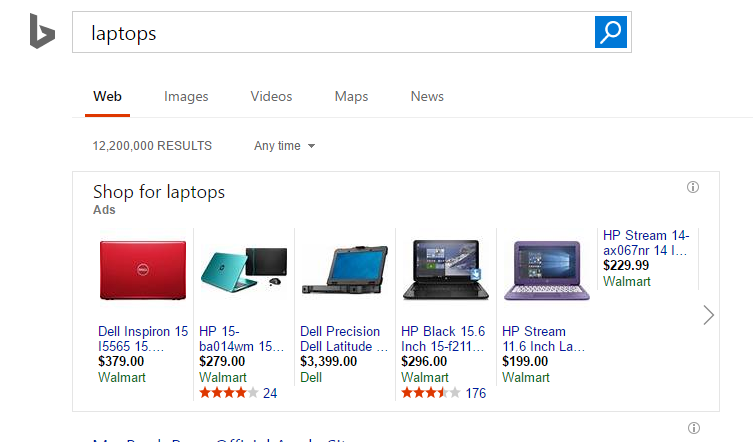 The new carousel, which appears at the top of search results for product keywords like “laptops”, shows eight product listings, although currently only the first five seem to have a picture. Carousels are all the rage at the moment as Google began displaying its Shopping Ads in a carousel format back in October 2016. More recently, it has started displaying AMP recipe carousels in the results for mobile search, as well as review carousels for local review sites. Voice search is already a fast-rising trend in the search industry, and its latest developments indicate that it’s starting to win ground in daily use. If I tell you I have the secret formula for any entrepreneur to succeed, you may not believe me. But if Neil Patel, New York Times best selling author and a person The Wall Street Journal calls ‘the web’s top influencer’ tells you, “My secret formula is the greatest”, you will probably believe him. This week, we’ve got the latest on a strange glitch appearing in Google’s mobile search, a new beta search engine launched by Creative Commons, and the decline of brand hashtags in Super Bowl ads.